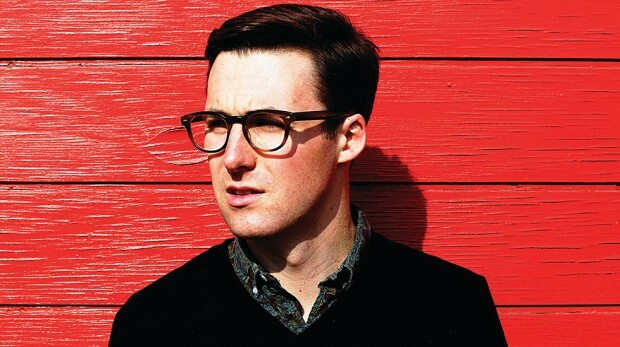 Modern day soul man, Nick Waterhouse, plays the closing show at the Chevron Festival Gardens this Saturday, March 7. ALEX GRIFFIN reports. As increasing Stax – sorry – of imitators mine the arcane past of soul music for new punchlines to old jokes, Nick Waterhouse has carved out an enviable reputation for his wiry, weary take on the classics. The Californian native made waves in 2012 with his instant classic This Is A Game, and last year’s sophomore effort, Holly, was a great leap forward; a veiled, shifty beast, tightly packed with musical references to obscure b-sides and lyrical allusions to Shakespeare, Godard and Hart Crane. Suspicious of how technology changes us and wary of where misdirected energy can lead, the record packs a big message to decipher, setting him apart from most other contemporary soul revivalists, who tend to be around for a good time, not a deep one you can still dance to. In that case, what’s going to be the viral video that’s the Led Zeppelin IV of viral videos? “Whenever Kanye West next teams up with an art director to make a 10-minute short film that’s so successful everyone forgets there’s an album?” Waterhouse grimly chuckles. On this, he’s a man of charming, but almost irascible conviction – it’s all about the song, not the singer. Coming from an extreme trainspotter record collector mentality (think endless mornings at swap meets, intricate networks of tape swapping and trawling web 1.0 message boards), Waterhouse is disdainful of anything that seeks out the image instead of the soul of the sound, something eternally and refreshingly present in his own music. Live, Waterhouse and his rotating crew of jazzbos are a compelling set of party-starters, honed to a sharp by experiences like a hellish 2012 tour that took in 43 nonstop nights of zigzagging across America. Playing this year’s Perth International Arts Festival’s closing party with the last ever set at the Chevron Festival Gardens is a far less daunting challenge, but one they’re set to blow the lid off. Considering how long and how critically he’s been immersed in his craft, it feels wise to take Waterhouse’s word on that.